Navigate to Admin > Users and click Add users. Enter the email addresses of the invitees separated by line breaks. If you would like to send an email invitation, check the Send invitation option. You can edit the email subject line and message. 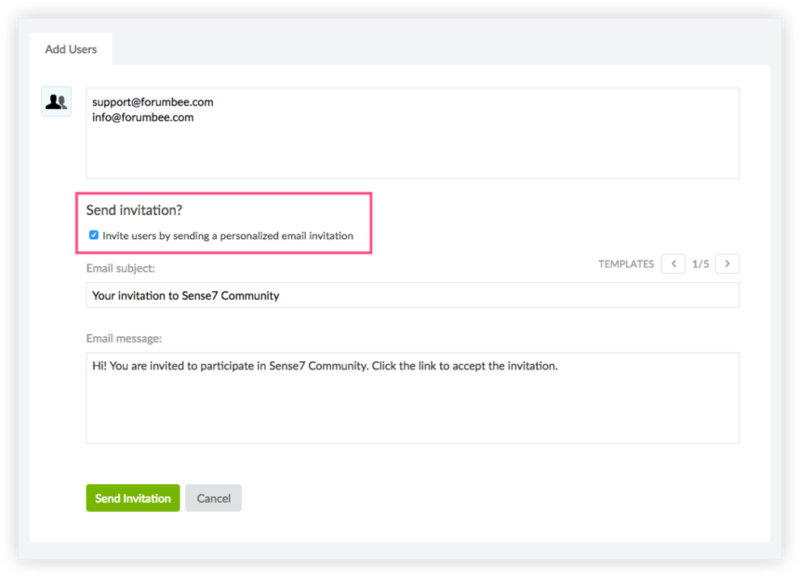 Previous invitation messages are automatically saved as templates and can be reused. When you are ready to send, click Send invitation. 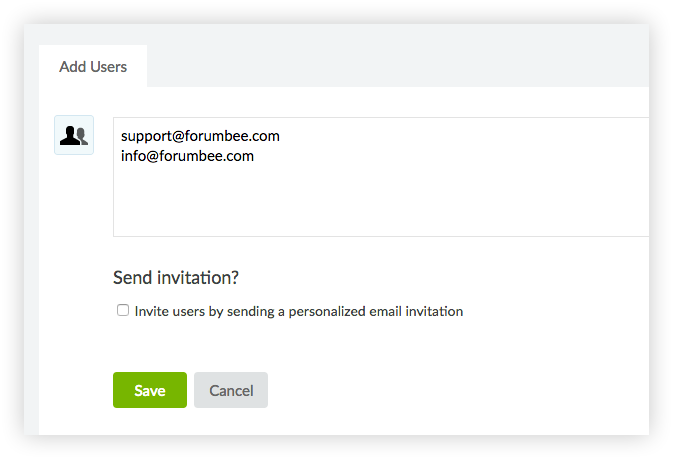 To add users without sending an email invitation, leave the Send invitation option unchecked. In this case, since the system will not be sending users a link, you will need to notify them using an alternate method. They will be able to join the community using the email address you typed here. Click Save to add the users.